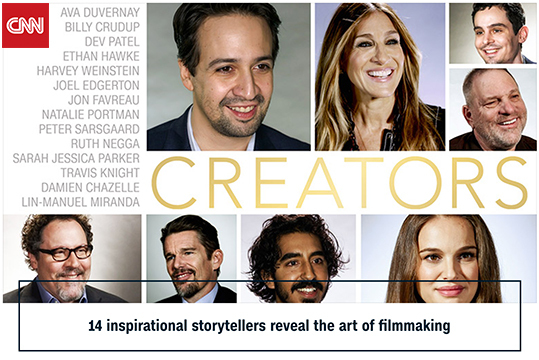 Lin-Manuel Miranda, Natalie Portman, Sarah Jessica Parker – You know their work, now hear their stories. CNN Entertainment sat down with with some of Hollywood’s most talented actors and Oscar-nominees to discuss their path to success, creative approach to filmmaking and their inspiration. Explore the series of intimate videos from 2017 Oscar nominated artists at cnn.com/specials/entertainment/creators.